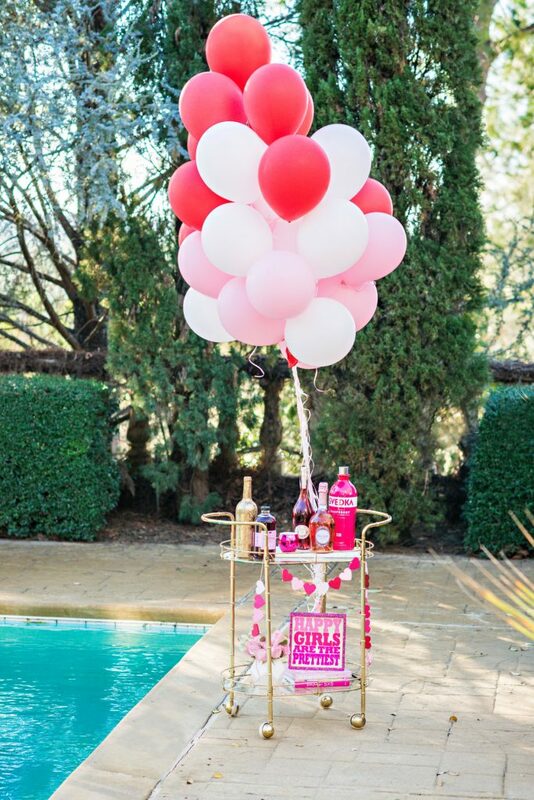 Have you seen.. Bar Carts are everywhere and we love them! Have fun with it, use your flair! Share pictures with us using link below! Winner will receive a special surprise. Marketing and Design With Color named the streets at Old Town Columbus, a Southern Living Inspired Community, after camellias, and planted the camellias that are the names we selected. This is Frank Houser. If you’re like most of us, and a fan of big blooms, then you will absolutely love this camellia. 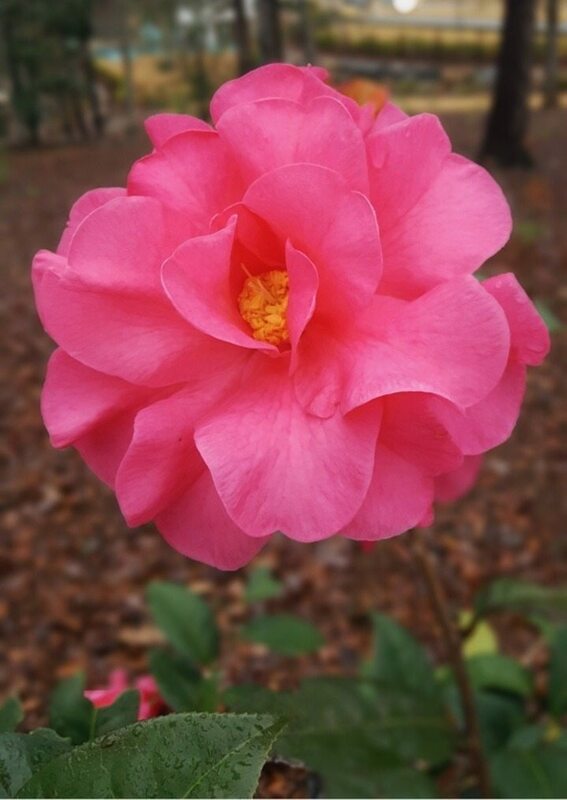 “Frank Houser” has some of the largest blooms ever seen on any camellia species! The mixture of red-rose-fuchsia on a huge bloom (can be up to 9” wide!) creates a decorative touch unlike any other. All of the streets at Old Town Columbus are named after famous camellia varieties, and Frank Houser is known for producing some of the largest blooms of all camellias. Stay tuned for pictures of our next camellias that are getting ready to bloom! We are excited to share with you all the varieties that we have planted throughout the Old Town community. Can you tell us what is located at Massee Lane in Columbus, GA? If you know the answer, contact me and let me know. I will send you a freebie if your answer is correct!! 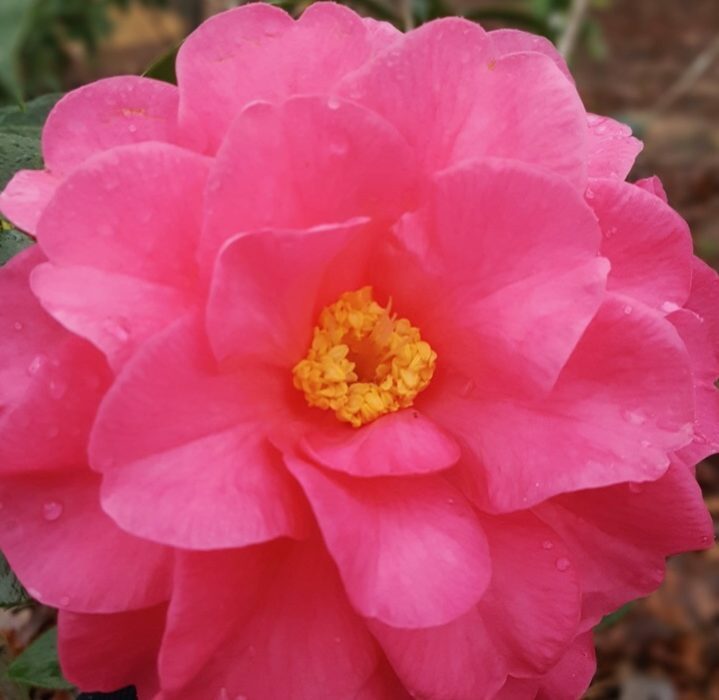 The American Camellia Society is located in Fort Valley, GA., and Massee Lane Gardens is the Historic Headquarters of the American Camellia Society. 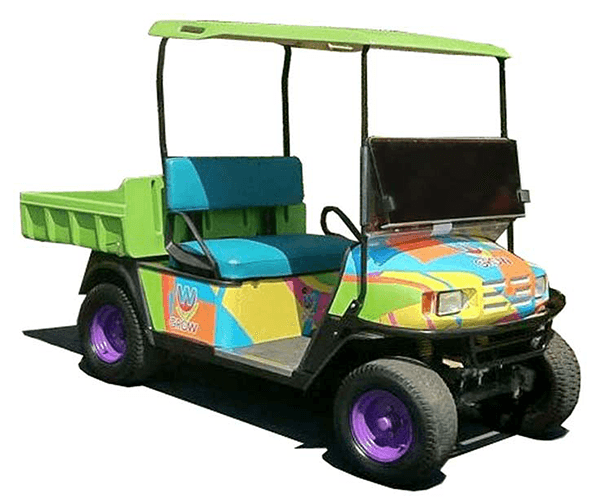 Let us design your golf cart! I recently received an email from Stray Dog Designs celebrating their 21st birthday. I remember working with them when they first started. This goes back to 1995, whenI worked for a catalog company called Sugar Hill, and we attended multiple design shows across the United States and overseas annually. I met Billy Pritchard the year they opened. They still carry some of their original products as well as many new, innovative, fresh designs. The products that they carry are just my style! 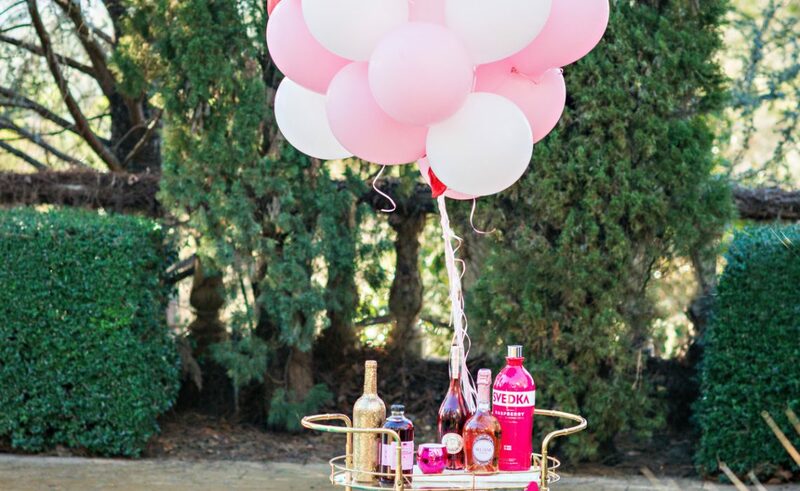 Whimsical and fun. Their handcrafted lighting; furniture and home décor is something you need to see for yourself! I love reading their blog, which talks about their travel that inspires their designs and creations right out of their workshop in San Miguel Allende, Mexico, and the fun they have along the way. Over the years I have bought several pieces for design projects but finally one for me – in my office. Now, I get to enjoy it every day, and yes its my favorite color, pink! My office was designed to be chic and bright a mix of modern and welcoming. In my office, I have a big Stray Dog Designs chandelier, the Celeste Sphere, that is definitely a conversation starter and adds some dazzle to the space. Stray Dog is a collaboration between talented artisans and designer Jane Gray. They use recycled materials and low VOC (volatile organic compound) finishes, which makes them harsh-chemical free!! I have also purchased the Paulina Otomi pendant for W Storage. W Storage is an energetic and modern self-storage facility. 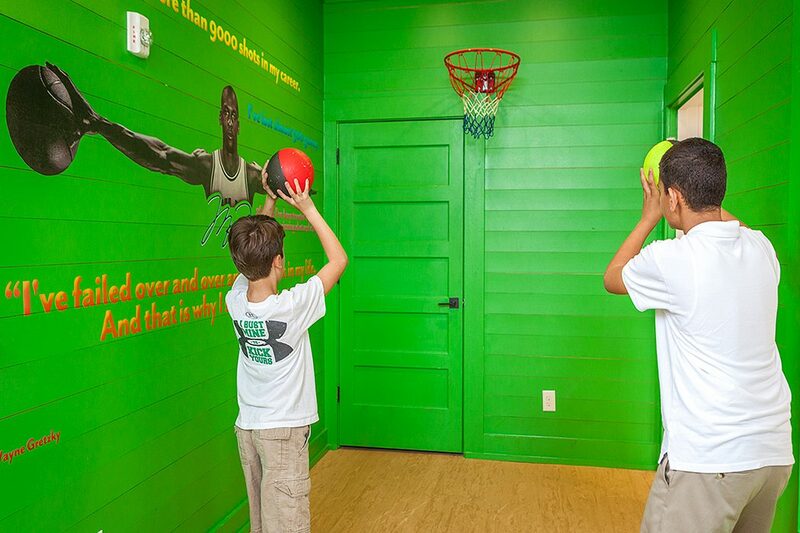 Marketing and Design with Color didn’t just want to develop the usual, boring, storage facility…We jumped all in!! 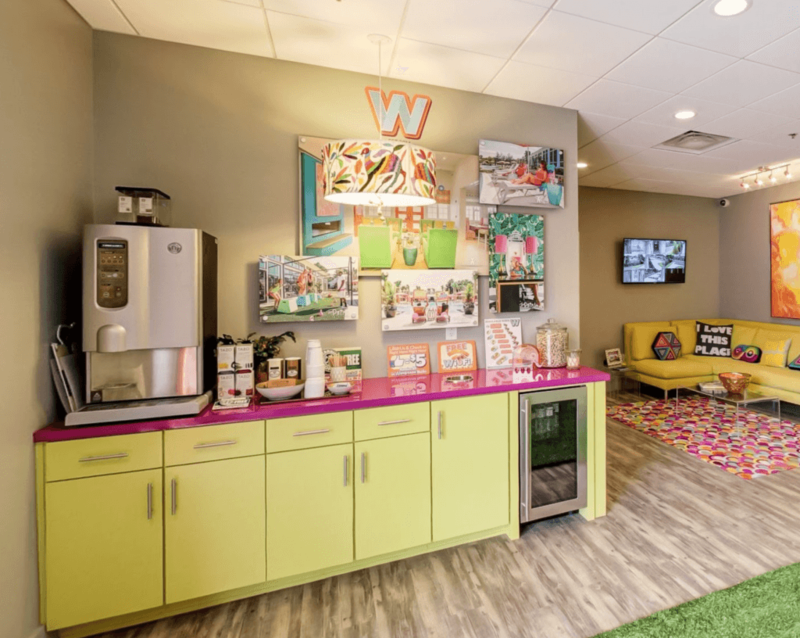 We believe that color changes everything, and with that thought in mind, we designed and developed a state-of-the-art high design lounge, where you can take a break, sit, relax, and surround yourself by all things beautiful and fun!! Stop by and see Johnathan Adler , Emporium Home and of course, Stray Dog Designs!! 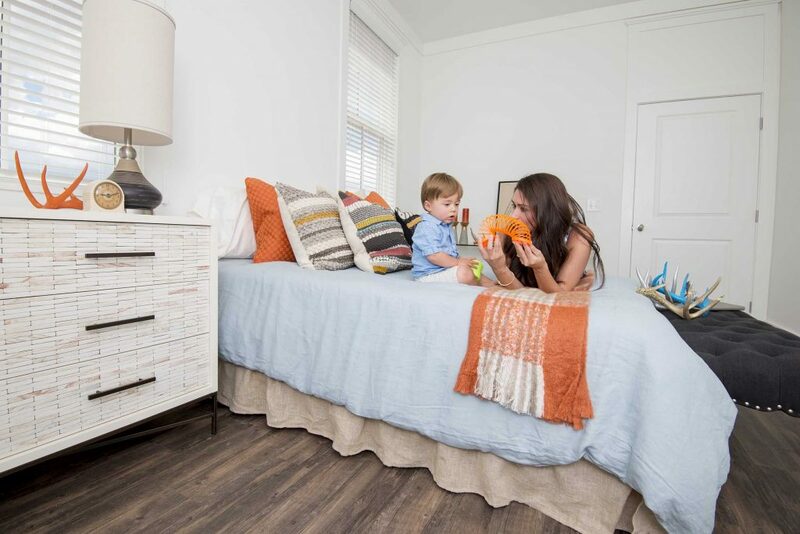 Click here to read our post about W Storage! 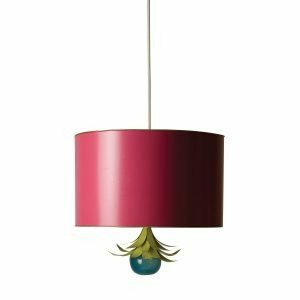 My home office has the hot pink Drum Pendant, the perfect peppy touch making working at home FUN! I am so proud of this team and what they have accomplished through the years. Can’t wait to see what they come up with next and which will be the next piece we will use in future design jobs! 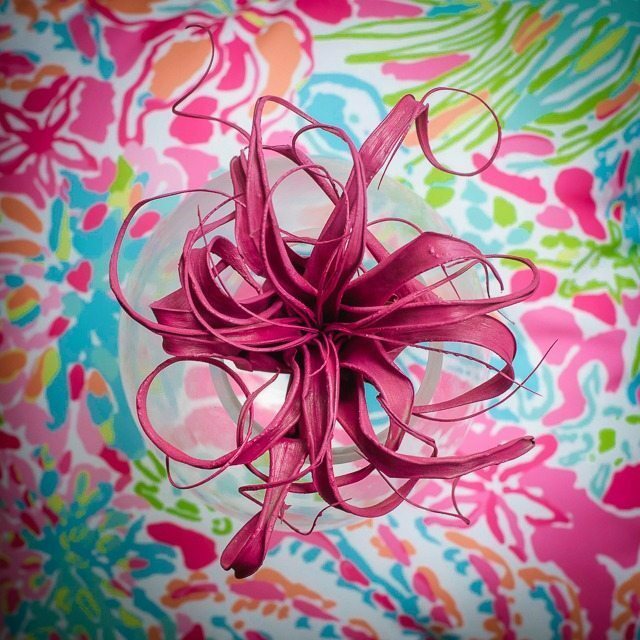 Let us do the hunting for you and bring a pop of color, style, and razzle-dazzle toyour space! Hire us, Marketing and Design with Color! 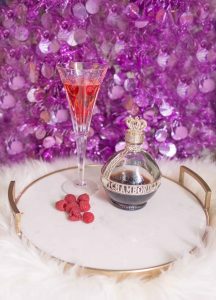 NYE Prep: Chambord Royale Recipe! Top with whatever fizz your tongue desires. Then plop. Finish with the important raspberry!! 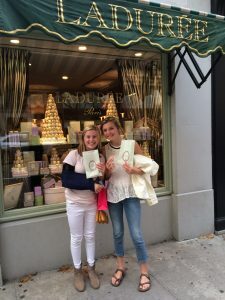 I’m always up for going against the flow, so for Laurie Clare’s 13th birthday, I asked her if she wanted to do the typical party like everyone else with a dance or if she wanted to plan a trip that I’d take her on. Thankfully, since she’s up for crazy, she voted the trip!! Off to New York we went!! 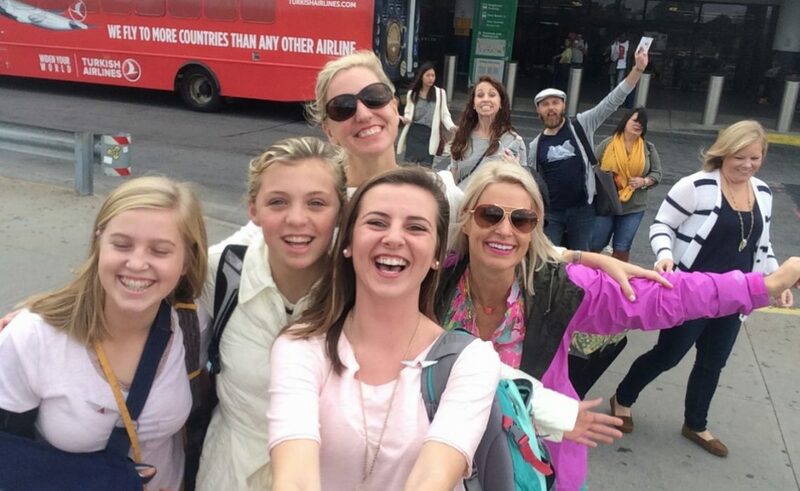 I told Laurie Clare (LC) since I was super busy at work and it was her trip, I wanted her to be our travel advisor. 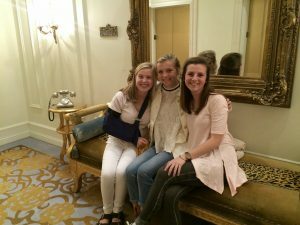 We called her friend Holland and her mom, Kellie, and they decided to come along with us for the big 13th birthday trip!! For weeks and weeks, LC spent all of her free time researching the best shows, shops, restaurants and sights to see. She made an itinerary for each day full of fun, and I excitedly said yes to it all! 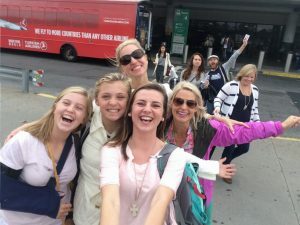 While LC planned, I went behind her back and asked our babysitter, Becca, who was off at college, if she would tag along with us and surprise LC at the airport. Becca always says yes to our trips and craziness!!!! She and LC are the best of friends and I call her my daughter, so she was a must-have for this extravaganza. Becca surprises the girls at the airport!! Off we go to NYC! First stop: THE LIMO! Kellie and I wanted the birthday girl to have the best ride to the hotel. Third stop: Sarahbeth’s for lunch then off to get macaroons at Laduree! 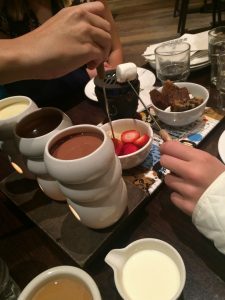 MATILDA— a must see! The cast was almost all children, which made it even more exciting. Such talent, a great set, and an even better show! Carriage ride through Central Park— cold & beautiful! We had a blast touring Central Park posted up high on the horse and seeing all of the leaves changing colors. Our carriage driver was so nice and covered us up in blankets on the cool New York City morning!! Toys R Us Ferris Wheel— who knew there was a Ferris Wheel inside of the Toys R Us?? The seats on it are different well-known toys! We got to ride in the Little Tykes car. We were dying to ride in the My Little Pony car though because my youngest, Lulie, was obsessed with them!! We wanted to tell her that we got to ride in it! Tiffany & Co.— a stop to see the world’s largest yellow diamond! We went into Tiffany and heard the story of Tiffany and the story behind the yellow diamond. It was beautiful! 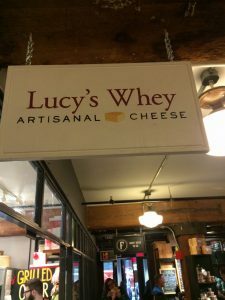 Chelsea Market— beautiful, local, cozy. This market was full of local vendors selling all things from clothes to meals to donuts. We enjoyed some delicious cheese and crackers with wine and also homemade donuts from the store next door! 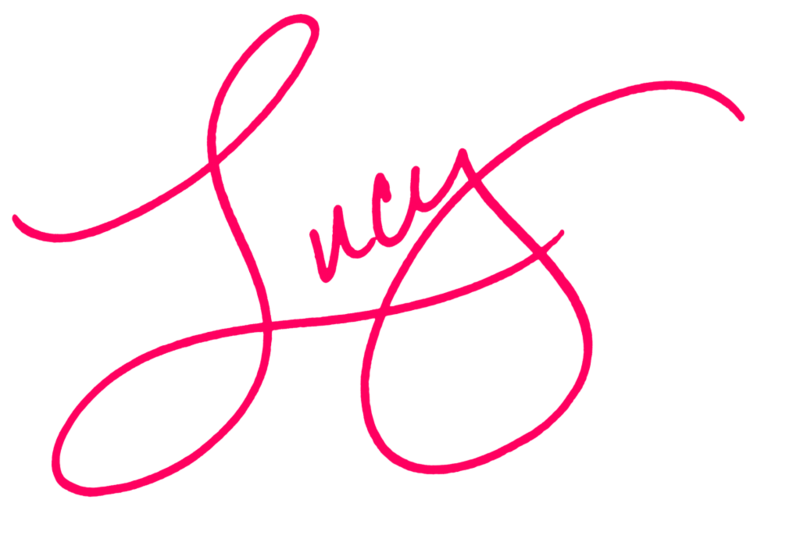 All things Lucy I love. The Coat Man— you might think the mink coats are fake, but we found some good ones!!! There was a man stopped outside the market with a minivan packed full of fur coats. I mean, it was just too good to be true. No one was there when we got there, but after a little while all of our commotion brought them by tons of business!! I must have tried on 50 different styles and colors while the girls passed each one around and modeled them across the sidewalk!!! We all laughed so hard!!! Holland had the best time trying them on. The man could not get enough of us because he thought we were so crazy!! 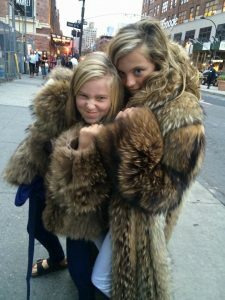 I found a great coat, but really we made some great memories. 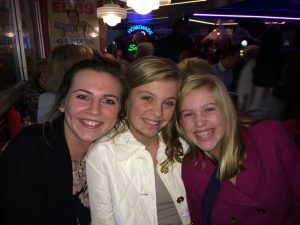 Ellen’s Stardust Diner— famous for its entertainment, this dining place is a must! At Ellen’s, actors trying to make it on Broadway are the waiters and waitresses and work there while they’re trying to make it BIG!! The whole time each person puts on a different show with their favorite song. We ate some good diner food while enjoying all that was going on around us. It was a hit! Get there early if you want to get a table! While we toured the city, we stopped at countless shops along the way. We went through our favorites, Lilly Pulitzer and Tory Burch, and also any other place that caught the eye. Becca thought we’d never stop shopping!! We’re always teaching her to be looking for a good purchase. In the Lilly store, we ran into Lulie’s friend from back home!! The last night, we came in from dinner and adventures really late, and I mean, I was EXHAUSTED! The girls were tired too but excitement from all of the possibilities in a city like New York was still running through them. As soon as we got out of the elevator, we started laughing so hard about something that we could barely walk and both of the girls ended up on the floor on top of each other laughing!! What memories!! We slept hard that night and woke up early the next morning to squeeze in a little more fun before our flight back home. All of LC’s friends might’ve had more people at their party, but we made memories for a lifetime in a quick trip to The Big Apple! I love Kelly Green!! My favorite coffee cup is a Kate Spade mug that is Kelly green that says “live life colorfully!” I recently needed a great green for a fun zone in a fitness center so I took the cup to the paint store to match! It’s a great easy way to be sure you get a color you love! Another couple great kelly greens are Jolly Green by Sherwin-Williams and Fresh Lime by Benjamin Moore. As you know by now I love color, just about any color, however there are a few that I don’t even consider colors! Ask a friend or email me and I will be happy to share. You know, I don’t like spreading negativity! I found a giant paint index recently as an ad for Pier 1 Imports and it had 108 paint colors, oh happy day! At the bottom of the page it said look at goldengatebridge.org for the paint formulation of international orange, what a fun thing to know, so I did just that and my findings are below! When the steel for the Golden Gate Bridge was fabricated by Bethlehem Steel at its foundries in PA and NJ, the steel was coated with a red lead primer. As the bridge towers began to rise for the Golden Gate Bridge, the architect Irving F. Morrow was driving home from work in the East Bay via ferry. He was inspired by the red lead color. Morrow did many color studies, which resulted in the specification of the unique Golden Gate Bridge International Orange because it blended well with the nearby hills and contrasted with the ocean and sky. As the bridge stands today, the color blends perfectly with the changing seasons and colors and the San Francisco skyline. I love it when something is just right! The color named “International Orange” existed before the bridge (and still exists) and is a color used in the aerospace industry to set things apart from their surroundings, similar to safety orange, but deeper and with a more reddish tone. The Golden Gate Bridge is painted Golden Gate Bridge International Orange!! The final color was the result of many studies by architects, sculptors, engineers, painters, and others. It takes a village!! If you absolutely love this color, but have no way to get a PMS or Pantone match, you can purchase the closest off-the-shelf paint color, provided by Sherwin Williams. It is called “Fireweed” (color code SW 6328). Hire us today, and let us show you how to add a pop of color to make your space unique! !